Mount Abu is a popular hill station in the Aravalli Range in Sirohi district of Rajasthan state in western India near the border with Gujarat. The mountain forms a distinct rocky plateau 22 km long by 9 km wide. The highest peak on the mountain is Guru Shikhar at 1,722 m (5,650 ft) above sea level. It is referred to as 'an oasis in the desert' as its heights are home to rivers, lakes, waterfalls and evergreen forests. The conquest of Mount Abu in 1311 CE by Rao Lumba of Deora-Chauhan dynasty brought to an end the reign of the Parmars and also marked the decline of Mount Abu. He shifted the capital city to Chandravati in the plains. After the destruction of Chandravati in 1405, Rao Shasmal made Sirohi his headquarters. The ancient name of Mount Abu is Arbudaanchal. In the Puranas, the region has been referred to as Arbudaranya ("forest of Arbhuda") and 'Abu' is a diminutive of this ancient name. It is believed that sage Vashistha retired to the southern spur at Mount Abu following his differences with sage Vishvamitra. There is another mythology according to which a serpent named "Arbuda" saved the life of Nandi - Lord Shiva's bull. The incident happened on the mountain which is currently known as Mount Abu and so the mountain is named "Arbudaranya" after that incident which gradually became Abu. 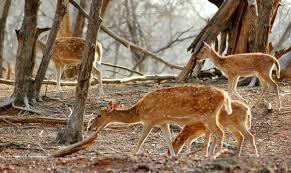 Mount Abu town, the only hill station in Rajasthan, is located at an elevation of 1,220 m (4,003 ft). It has been a popular retreat from the heat of Rajasthan and neighbouring Gujarat for centuries. The Mount Abu Wildlife Sanctuary was established in 1960 and covers 290 km² of the mountain.The mountain is also home to several Hindu temples, including the Adhar Devi Temple (also known as Arbuda Devi Temple), carved out of solid rock; the Shri Raghunathji Temple; and a shrine and temple to Dattatreya built atop the Guru Shikhar peak and a number of Jaintemples including Dilwara Temples, a complex of temples carved of white marble that was built between the 11th and 13th centuries AD. The oldest of these is the Vimal Vasahi temple. Heena Vyas / Batch 2006 topped the School in Board Exams. She is good looking, smart and intelligent. She was always good in Academics. Her favourite subject was Science. 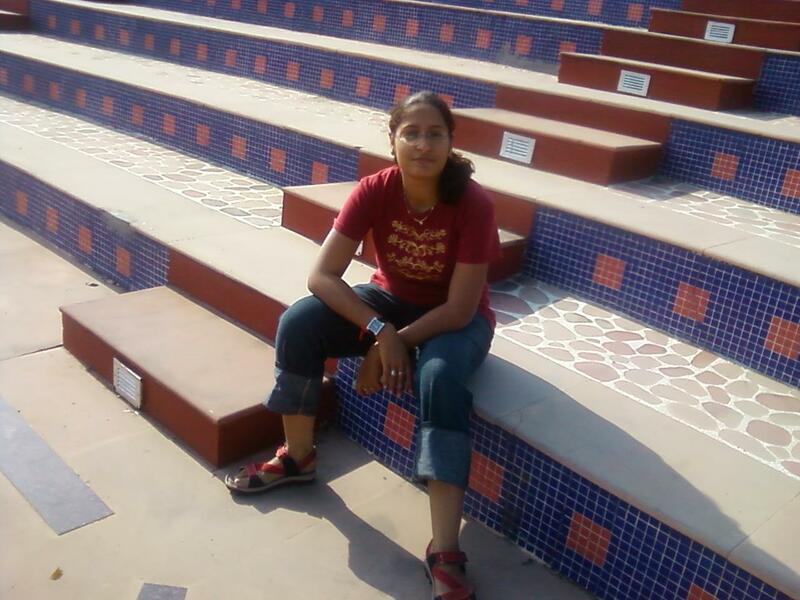 She took Science Math and passed her XII in 2008 from KS Lodha Public School, Falna. Then she went to Udaipur for her further studies. She did her MSc. in Physics at University College of Science, Udaipur. She returned to Bali in 2013. Nowadays she is teaching Physics to Class XI-XII in KS Lodha Public School, Falna. She always said that there is no shortcut in success. This she proved it by working hard and achieved success at every step. Mr. Dalpat Singh Rajpurohit F/O Krithika Rajpurohit/ VI was selected as the Parent this Week. He is an Advocate by profession at the session court in Bali. His two children are studying in the School; son is in Class III and daughter in Class VI. Monday, 30th January: Staff had a PDP Session with their groups where they finished the second chapter of the novel. They uploaded their stories in Google Drive. The novel is almost completed. Thursday, 1st January: Group leaders had a meeting with Mr. Sandeep Dutt, Chairman. Update of My Good School Project and The Fabindia School M & E Tools was taken. Even update of PDP Program was also taken. Group leaders were also taught how to use Google Drive and upload folders. Friday, 2nd January: Mr. Sandeep Dutt conducted a workshop with the staff. First the update of the novel was taken. Mostly all the groups had uploaded their stories. Then they were asked about three positive outcomes of PDP Session while they were working in groups and writing the novel. Group II: Their IT and language skills improved. They were able to communicate and collaborate with other. Group III: They learned about caring, understanding and developing. They got an opportunity to prove oneself and got connected to the sensitivity of a child. Group V: They felt that change takes place day by day and their imagination increased and also their knowledge increased. Then the staff was told about the app “Yugma” which the school will soon introduce. SNI: I joined this school on 12th July, 2010. SNI: Mrs. Parineeta Ranpal was the Principal at that time. SNI: Staff and the management were cooperative when I joined the school. ED: Did you have Class XII at that time? SNI: Yes, we had Class XII at that time but there was only Commerce stream . SNI: I used to teach VI-VIII classes. SNI: Yes, some of them are in contact with me now also. SNI: I want my students to remain in contact with their teachers, to progress in life and be a good citizen. SNI: The changes that took place were the infrastructural development in the school campus .Science stream started. Fedena and English lab was introduced. 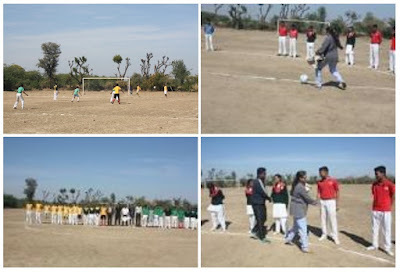 School is taking active participation in activities which take place outside the school, which helps the students to give an exposure of the outside world .PDP under LFIN is helping the staff members to develop their professional skills with technology, to give them update with the changing trends in the education system. SNI: To believe that we shall overcome some day and for this they should try. The Staff wishes Mr. Tarun Mishra, Mr. Krishen Gopal and Mr. Ayesha Tak a ‘Happy Birthday’ and may their dreams and wishes come true. Ms. Alka Girdhar visited the School on 2nd February. She is going to collaborate with the School. She with her team has prepared an App. ‘Yugma” which the School will soon introduce. Yugma will help to develop communication for school to help parents, staff, etc. to work together and focus on the main motive of developing the child to face the world. AG: My name is Alka Girdhar. ED: Where were you born? AG: I was born in Himachal Pradesh. ED: Where did you complete your studies from? AG: I did my studies in Haryana and Punjab and in NIT Jalandhar. ED: Tell me more about your studies. AG: I have done MBA from London and later I got a job in WIPRO, Bangalore. Also I had been send to US for 2 years during my job. And I left my job in 2006. Later I joined IBM, UK and was the team leader, project manager for 9 years. ED: Tell us about your experience while you were doing your engineering. AG: During my engineering we had to compete with the students of our states and of other states. At that time I was exposed to many other students of other states. Also my thinking about the people changed during these days and my two best friends are from Pakistan and Africa. AG: Now, I have my own Venture to develop communication for school to help parents, staff, etc. to work together and focus on the main motive of developing the child to face the world. ED: As long as sports are considered did you love to play games? AG: Yes, I am a very good Table Tennis player. I played six times at National Level in Table Tennis. Martyrs day is celebrated on 30th of January every year as on the same day, Mahatma Gandhi (Bapu) was assassinated in the year 1948 before the sunset during the evening prayers. He was a great freedom fighter of the India and counted as the greatest amongst the lakhs and lakhs of martyrs. He worked hard throughout his life for the independence, welfare and development of India. 30th of January is the martyr day of the Mahatma Gandhi which was declared by the Government of India as the Martyrs’ Day. Since then, 30th of January is celebrated as the Martyrs’ Day every year to pay tribute to Mahatma Gandhi. January 30 of the year 1948 was the saddest day for the country which has become the most poignant day in the Indian history. Gandhi Smriti, a place where Mahatma Gandhi was killed at in the Birla House during evening prayers. Losing the Father of the Nation just after the hard-won independence under his leadership was the biggest misfortune for the country. He was killed in front of the big crowd who came for the evening prayer. After his assassination, a big crowd gathered in front of the Birla House to have a look of Bapu. Bapu was a great person who had sacrificed his whole life in company with lakhs of men and women for India’s Independence became a martyr. Wednesday, 1st February: Activity of sowing seeds was conducted for Pre Primary students. Their staff all helped in organizing this activity. Everyone enjoyed a lot and children of Class nursery and L.K.G sowed onion seeds and students of Class U.K.G sowed garlic seeds and Class I sowed coriander seeds. They learned how to sow seeds and they watered plants. Each and every child enjoyed a lot and they did something which gave them intense happiness. Friday, 3rd February: Fancy Dress Activity was organized for the Pre Primary Section. Children enjoyed a lot; they enacted the role of heroes, angels fairies and teachers. This activity helped in encouraging those children in building their confidence. Saturday, 4th February: Piyush Solanki/DH/VII was selected as Student This Week for his quality of playing Tabla. He learned playing Tabla on his own but basics were taught by the Music Teacher Mr. Prakash Dangi and Mr. Deepak. Then he practiced at home on his own and today he plays the Tabla perfectly. He has also made his own video and uploaded it on You tube which has made him popular among everyone and everyone congratulate him for his achievement. Monday, 30th January: A Special Assembly was held on the occasion of Matry’s Day. Mrs. Bharti made us aware that why this day is celebrated. The School paid homage to Mahatma Gandhi by keeping two minute silence at his death hour. Wednesday, 1st February: A Special Assembly was held on the occasion Basant Panchmi. Mrs. Bharti made us aware that why this day is celebrated. The prayer ‘Hai Maa Sharde’ was sung in the Assembly. Friday, 3rd February: Ten girls of Class VII-X escorted by Mrs. Prerna Rathod have gone to Heritage Girls School, Udaipur to attend the IIMUN Conference.